A tale of a renegade TV reporter who, after being fired from Zeus’ multinational media empire, travels the world as an eco-warrior. Athena talks her father into bringing Odysseus back, their flailing, scandal-riddled empire needs Odysseus’ kudos and popularity with the people. And so Athena starts to seek Odysseus on his travels, helping him in his adventures as she tries to cajole him to come back. Meanwhile, Penelope awaits, trying to resist the many suitors, and her and Odysseus’ growing son, Telemachus, aches to go and search for his father. This is Odyssey for the 21st Century. 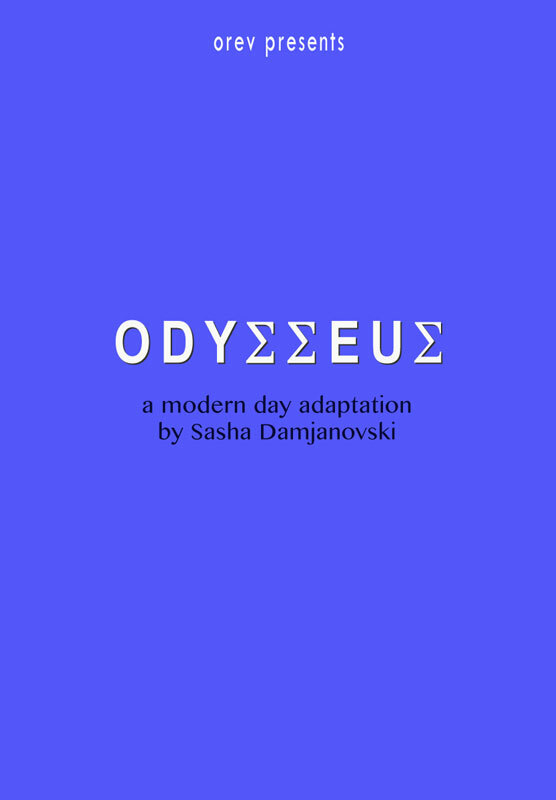 Whilst hugely imaginative, exciting and fun, Damjanovski’s adaptation fully engages with all the big questions that make Homer’s ancient poem a timeless classic.